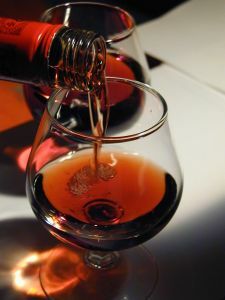 Cognac is one of the most delicious alcoholic beverages, which can be called the divine drink. Often you wonder, "How to choose a good cognac". In our time in the shops very often, instead of good cognac for sell fake. If you decide to purchase a really good cognac, you can use some recommendations. To choose cognac only famous liquor stores with a good reputation, in any case, do not buy the kiosks and mini stores. This way you will protect yourself from counterfeiting. Demand from the administrator a certificate of quality for these products. On the bottle must be excise. Preferably two – regional and Federal. Then it is safe to say that in front of you is not fake. Good aged cognac should be closed with a wooden plug, or plug of wood chips. Also about quality drink can be judged by the packaging. If brandy sealed in a gift box or a special tube – it indicates a good quality of brandy. In no case do not buy the cognac if labels are on uneven or non-existent – it is obvious that it is a fake. The label should be glued perfectly. The quality of the brandy can be determined by turning the bottle upside down. If cognac is easy stack bottle, then the brandy is not aged and is of poor quality. If from the bottom one fell a heavy drop – this suggests that a good cognac. When buying cognac, pay attention to its price. Good cognac cannot be cheap. The price of a normal cognac begins from 800 roubles and above, dependent on age and manufacturer. Choosing domestic brandy, better choose Dagestan. A very good cognac is the brandy made from French cognac spirit. So before buying, carefully read the label. Pay attention to the aging cognac. The more stars, the more exposure time, and correspondingly higher price and quality. Pour the brandy into a special glass Tulip-shaped. Rotating the glass around its axis, pay attention to how to drain the brandy in the walls. If the pins are smooth and flow smoothly with the droplets – in front of you a good cognac. Check the transparency. Pouring a glass of brandy, touch your finger to the glass, make an imprint and look from the other side of the glass. If you see the fingerprint, then you are brandy of good quality. You can start tasting. Once you opened a bottle, you need to let the cognac breathe at least one hour, then you will notice how different taste and aroma. Cognac should be drunk a little warm, warmed in the palms. Drink cognac from special glasses in small SIPS, do not gulp.